I wanted to see how well Worbla’s TranspArt would work as a clear layer that would add shine and protect my paintjob, as well as allowing me to use cutout stencil shapes instead of having to paint geometric designs on props. 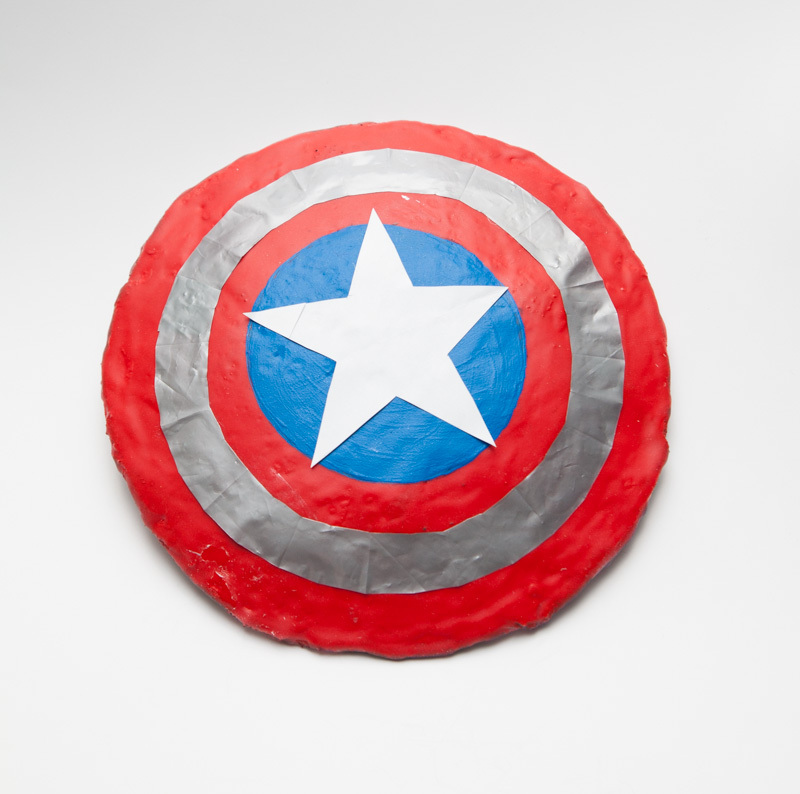 I chose to make a small Captain America shield as a test. 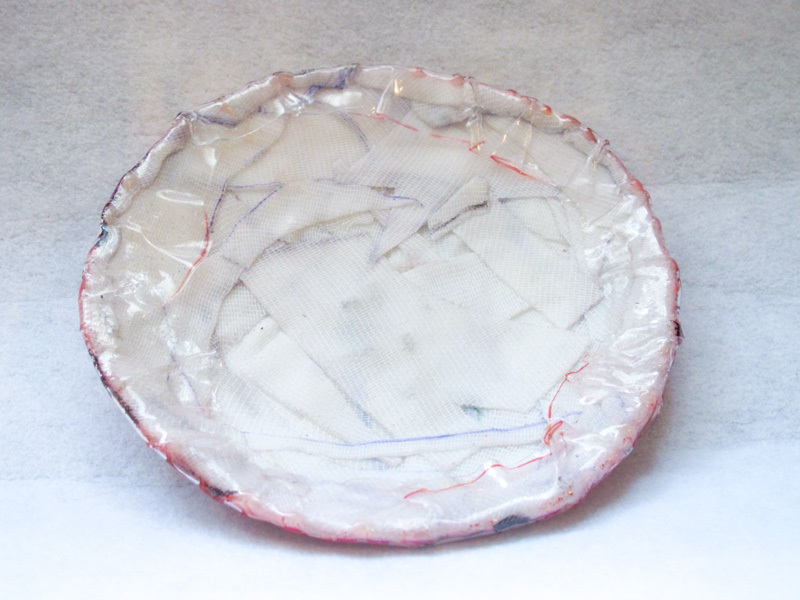 First, I made the base out of some scraps of Wonderflex, pressed into am old lampshade. The finished product was pretty bumpy, so I coated it in woodglue before painting it. 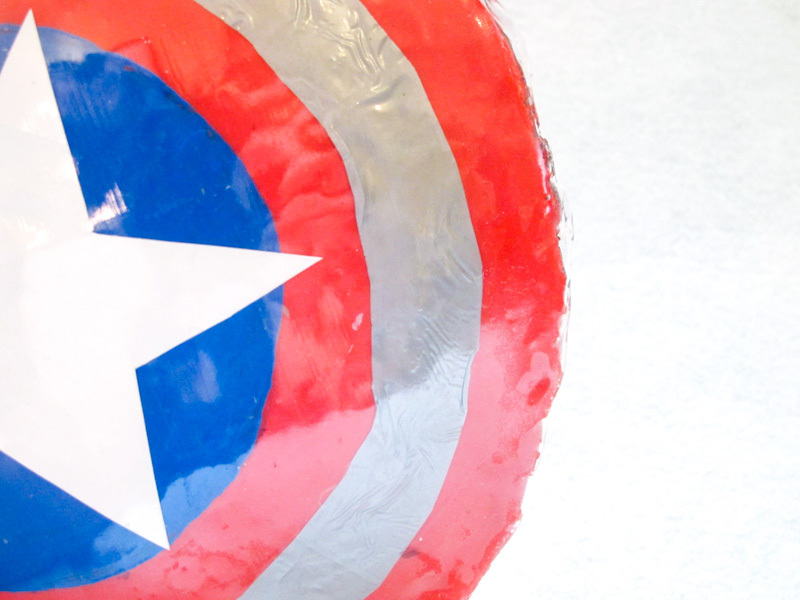 Then I added a silver ring made of plastic vinyl, and the star was cut from white wrapping paper. Once the paint and glue were dry, I cut a piece of Worbla’s TranspArt larger than my shield, heated it, and carefully stretched it overtop, folding the edges over. 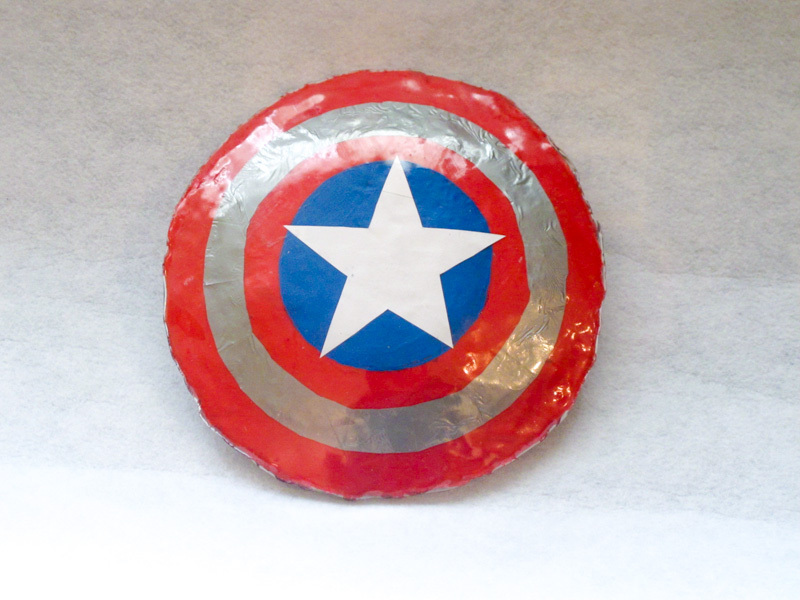 The final product is a super shiny shield that’s indestructable – I can throw it into walls and down stairs and it doesn’t take a scratch, so I don’t have to worry about scratching or chipping my paint, and as a bonus it was much faster to cut out the silver ring and star than masking and painting them both by hand.